Gum Disease is also known as periodontal disease. Periodontal disease is a chronic bacterial infection caused by dental plaque (a soft, sticky, colorless bacterial film) that affects the gum tissue and the bone that supports and hold teeth in the jawbone. The Surgeon General’s Report on Oral Health highlights the connection between diabetes and periodontal disease. The report discusses how the presence of periodontal disease affects glycemic control and refers to periodontitis as the “sixth complication of diabetes”. “Bacteria originating in tissues such as the oral mucosa (mouth) may directly infect blood vessel walls” (source: Surgeon General’s Report on Oral Health). While researchers agree that an association does exist between periodontal disease and cardiovascular disease (CVD), it remains unclear whether this relationship is causal or coincidental (source: Dentistry IQ). Several clinical studies have shown that there is a high prevalence of periodontal disease among people who have Rheumatoid arthritis. Research suggests that “tooth loss (a marker for periodontal disease) may predict rheumatoid arthritis (RA) and its severity. 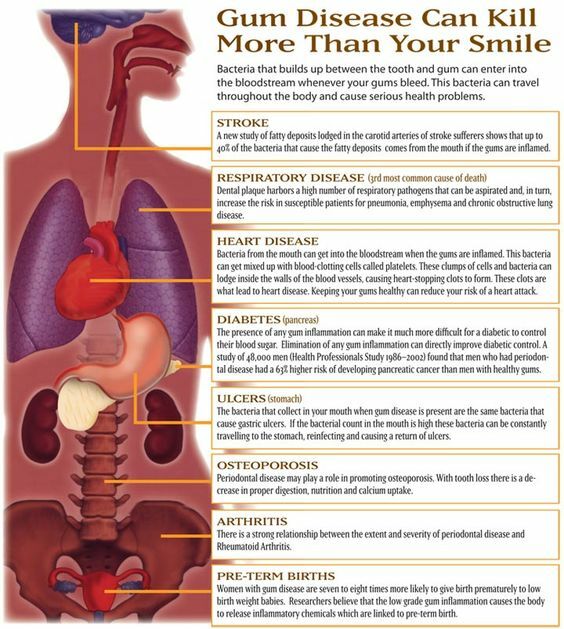 The more teeth lost, the greater the risk of RA”. (source: Arthritis Foundation). Research has indicated that genetics may increase the incidence of periodontal disease. According to the CDC, over 50% of Americans over age 30 and over 70% over age 65 have periodontitis. Periodontal disease is a chronic inflammatory disease. Inflammation plus stress decreases your body’s ability to fight and reduce inflammation and may increase your risk for periodontal disease. Inadequate and/or poor nutrition often results in nutrient deficiencies which gravely impacts our body’s ability to prevent disease and fight inflammation including gum disease. Smoking reduces the delivery of necessary oxygen and nutrients to the gum tissue and the containing carcinogens increase the inflammatory response and interfere with healing. As a result, smokers are less likely to respond favorably to periodontal disease treatment. According to the CDC, smokers who smoke less than a ½ pack of cigarettes per day are almost three times (3X) more likely than non-smokers to have periodontitis (source: ADHA.org). Early detection and screening for periodontal disease is the best way to prevent the onset of periodontal disease. Your dentist or dental hygienist will use an instrument called a dental probe, to measure the depth of the gum tissue pocket that surrounds each tooth. Measurements are recorded in millimeters (mm). Healthy pocket depths are 3mm or less. Pockets that measure 4mm or above are not healthy and will be classified accordingly. Afterwards, the dentist and dental hygienist will discuss your findings with you to determine what type of teeth cleaning, preventive or therapeutic, that you need to preserve your teeth for a lifetime. Preventive teeth cleanings are for people who are healthy and have no bone loss. Therapeutic teeth cleanings are for people who have periodontal disease. 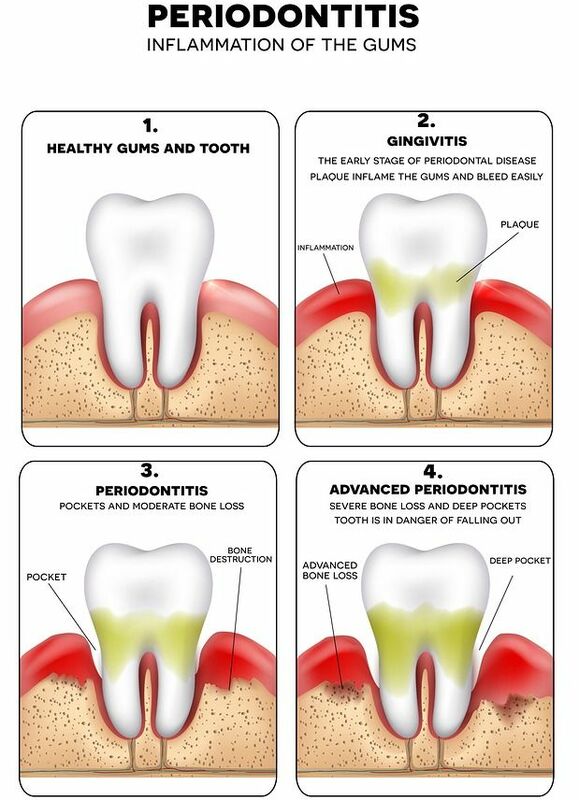 There are three stages of periodontal disease: gingivitis, periodontitis, and advanced periodontitis. Gingivitis, is the only stage where diligence regarding home care in conjunction with a professional dental cleaning can be reversed to healthy. Periodontal disease measurements are 3-4mm. May be localized or generalized. Not reversible, but can be stabilized with improved home care and more frequent dental cleaning visits, every 3-4 months instead of every 6 months. Periodontal disease measurements are 4-6mm. May be localized or generalized. Not reversible. Requires periodontal therapy followed by frequent dental cleaning visits every 3-4 months to prevent additional bone loss. May include referral to periodontist (dentist who specializes in treatment of periodontal disease) for evaluation and/or surgical intervention. Periodontal disease measurements exceed 6mm. May be localized or generalized. Requires surgical periodontal therapy by periodontist followed by frequent dental cleaning visits every 3 months to prevent additional loss of teeth. There is no known cure for periodontitis. Effective daily oral home care practices (brushing and flossing) in addition to having your teeth examined and professionally cleaned at least every six months is the best way to prevent the onset of periodontal disease. Left untreated, periodontal disease will lead to eventual tooth loss. Periodontal therapy is a specialized teeth cleaning performed to resolve gum tissue inflammation and preserve the bone that supports the teeth. Dental plaque and calculus are removed from tooth surfaces above and below the gum line using ultrasonic and hand instruments. Periodontal maintenance appointments (every 3-4 months) are necessary to preserve bone support long term after completing periodontal therapy. For those with moderate to advanced stages of periodontal disease, periodontal surgery may be necessary by a periodontist (a specialist dentist who specializes in the treatment of periodontal disease). Periodontal maintenance appointments are necessary to preserve bone support after completing periodontal surgery. Oftentimes, patients will alternate their every three months maintenance appointments with their dental hygienist and their periodontist. Comprehensive periodontal exam is often a covered service under most dental insurance plans. Periodontal therapy and surgery are therapeutic, not preventive procedures. Comprehensive dental insurance plans typically provide coverage for these services. Coverage varies depending upon individual dental insurance plan. Periodontal maintenance is often a covered service under most dental insurance plans; however, many dental insurance companies cap how many maintenance visits they will provide coverage for in a coverage year. 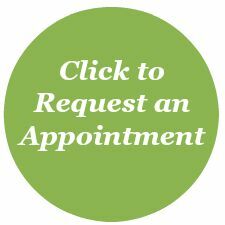 Call (763) 586-9988 to schedule an examination appointment today or click the button below to request an appointment. We look forward to helping you preserve your smile for a lifetime.